DTOC: Hitting winter or hitting a wall? The Government set targets on Delayed Transfers of Care (DTOC) based on performance in February 2017. 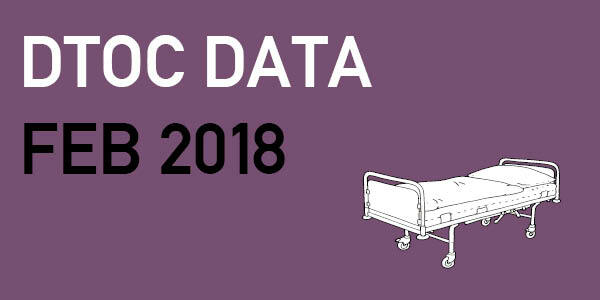 With yesterday’s release of the latest NHS statistics, we now have a full year of data and can assess whether the targets that were designed to help the NHS and local authorities manage the annual winter crisis worked. Nationally, delayed transfers of care have fallen by 25% over 12 months with delays attributable to social care falling by 34% and those attributable to health falling by 19%. With overall performance at 11.5 days per 100,000 population against a target of 9.4 days, there is still some distance from the target. That said, the starting position in February 2017 was 15.3 days and some 1750 beds have been freed, equivalent to two good-sized hospitals. 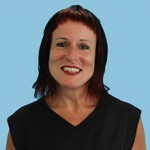 Local authorities’ Departments of Adult Social Care and their NHS partners might have had concerns about how the targets were set, railed against the threat of taking away the additional money and been frustrated at the perceived top-down interference from Whitehall, but in many areas they rose to the challenge of working across the health and care interface and collaborated at a local level to solve a problem. One year on, performance is not uniformly improving across all areas of England. Some 41 areas are below target and getting worse; and there is no clear explanation for the tenfold level of variation between the best and the worst across the country. There are always local nuances and historical service configurations but they are no excuse for DTOC performance deteriorating further and they should learn from those who have delivered. We cannot be complacent. Despite the trend over 2017 of month-on-month national improvements, we have just undergone two consecutive months of decline. There is therefore a real risk that we have hit a wall. Performance in over half of all areas (84) deteriorated between January and February 2018; and this was true even of those high performing areas that were hitting their targets and had further improved. Was is it just the impact of winter and the unprecedented level of emergency admissions? Or was an improved ability to process demand simply creating the capacity to manage more demand. Can we shift the focus? There is a real risk that local authorities and NHS partners simply breathe a sigh of relief that they made it through the winter as well as they did, focus on all of the other things they should have been doing when they were addressing DTOC, and await a new set of targets. They must resist this. There is a real opportunity to move out of crisis mode and focus energy and resources on jointly developing community services that will both support admissions avoidance and enable discharge in order to maximise independence and minimise reliance on acute and long-term care. The latter will give the system a fighting chance of surviving next winter. Can we get to grips with demand? Demand is overwhelming. In February 2018, average daily emergency admissions were at the same level as January, and 5% higher than in February 2017. This placed additional pressure to release beds and demand for services at the point of discharge. Local authorities and the NHS must break the cycle. Can we address the big structural issues? Unless local authorities and the NHS bite the bullet and address some fundamental structural issues, such as the health and care workforce, they aren’t going to be able to improve or sustain performance. They simply don’t have the workforce needed in the places needed either to manage transfers of care or deliver community services that support admissions avoidance. Action is required to improve the prognosis. Local authorities and the NHS have money from the Improved Better Care Fund (iBCF) and, in many areas, there are a stronger set of relationships and better collaboration built on addressing DTOC in 2017/18.